Bobcats battle through some in-game adversity. RICHMOND — According to Richmond High School baseball coach Ryan Gardner, it’s “good to play a close game once in awhile” when your team has had double-digit victories over its last nine wins. 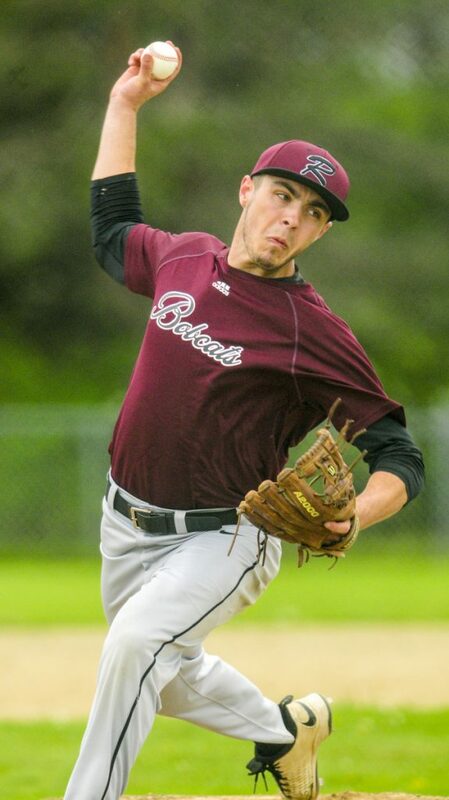 On Tuesday, Buckfield came to town and provided the Bobcats with that opportunity. 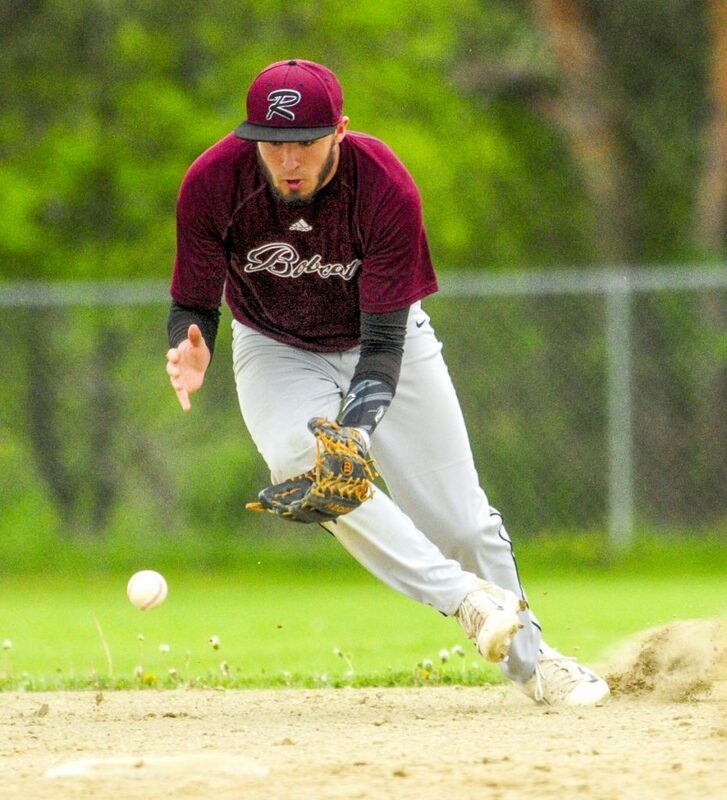 Trailing 4-2, Richmond scored five runs in the fourth inning to retake the lead and pull away for an 11-6 victory in a battle between East-West Conference foes. Senior Zach Small earned the win, pitching 6 1/3 innings of no-hit ball before Matt Rines relieved him in the seventh to close out the game. Small fanned nine hitters, walked four and hit two batters. 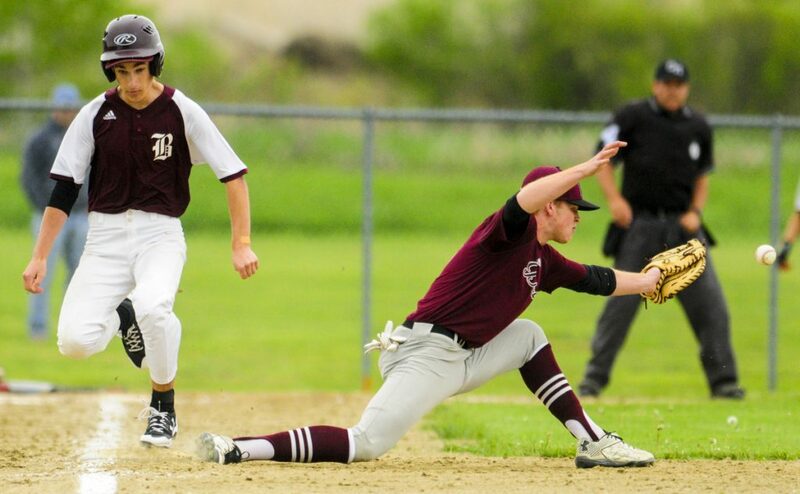 The Bobcats (11-0) opened the game with two runs in the top of the first inning off Buckfield starter Tyler Gammon. After Andrew Vachon singled and Danny Stewart walked, Nate Kendrick hit a ball to third base where the throw was wild at first, allowing both runners to score.The Bucks (7-5) answered in the fourth, taking advantage of a wild Small. After a flyout, the right-handed hurler hit the next two hitters before Shane St. Pierre’s batted ball was thrown away, letting both runners score to tie the game.Small struck out the next hitter, but the batter reached first after the pitch was wild. Two more infield errors pushed across the next run before a Dylan Harvey sacrifice fly plated the fourth run of the inning, giving the visiting Bucks a 4-2 lead. Trailing 4-2, Richmond did battle through it, retaking the lead that was once theirs. Kendrick led off the inning with a walk and stole second. Gammon attempted to pick off Kendrick, but the righty’s throw went into centerfield, moving Kendrick to third. Two pitches later, Kendrick scampered home on a wild pitch.Following two quick outs, Ben Gardner started things again, roping a double to left. Dakota Gilpatric singled, scoring Gardner with the tying run. A Rines single and a walk to Vachon loaded the bases for Richmond. After flyouts in his previous two at-bats on the day, Small then ripped a single to left field, scoring two more Bobcat runs. Vachon later scored the fifth run of the inning, on another wild pitch, giving the home team a 7-4 lead through four innings. Meanwhile, Small continued to stifle the Buckfield hitters, retiring the next six hitters, working around another infield error when catcher Trystin Shea threw out the runner trying to steal second.Small seemed to get into a little trouble in the sixth when he walked a pair of hitters following a leadoff punch out. But the senior stopped any potential threat, striking out the next two hitters to end the frame.Already leading 9-4, the Bobcats tacked on two more runs in the sixth inning off Zach Grover, who replaced Gammon at the top of the inning. The Bobcats scored from a sacrifice fly off the bat of Kendrick and an RBI single from Ben Gardner for the 11-4 lead heading into the final inning. After a leadoff walk and a pop out to second base, coach Gardner replaced Small on the mound with Rines. “He was at 95 pitches and I want to be able to use him this Saturday when we play,” Coach Gardner added. 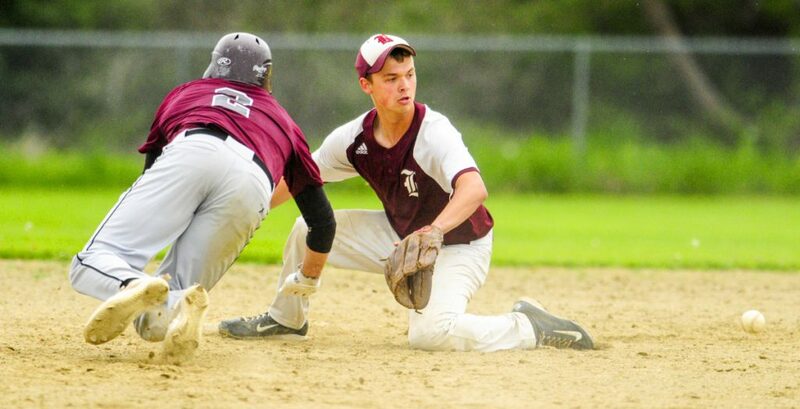 The Buckfield hitters were happy to see Small out of the game, not getting a hit off the pitcher. Next batter, Ethan Jackson collected the Bucks’ first hit, greeting Rines with a single to left. Following a pair of walks, Dylan Harvey hit a sacrifice fly to score Rick Kinske. A bases-loaded walk scored another run, sending Kaleb Harvey to the plate.The right-handed hitter hit a sharp grounder to third base where Vachon fired to first for the final out. Currently Richmond and Buckfield sit 1-2 in the Class D South Heal points. “Again, when you play a lot of games where we are beating teams by double digits, it’s good to see our team bear down,” Coach Gardner added. Rines finished with two hits and an RBI, while Shea, Justin Vachon and Ben Gardner also knocked two hits apiece in the 11-hit attack. Richmond hosts Valley on Friday for a doubleheader at 2 p.m.